Digidesign and M-Audio have joined together to create a limited-edition package. 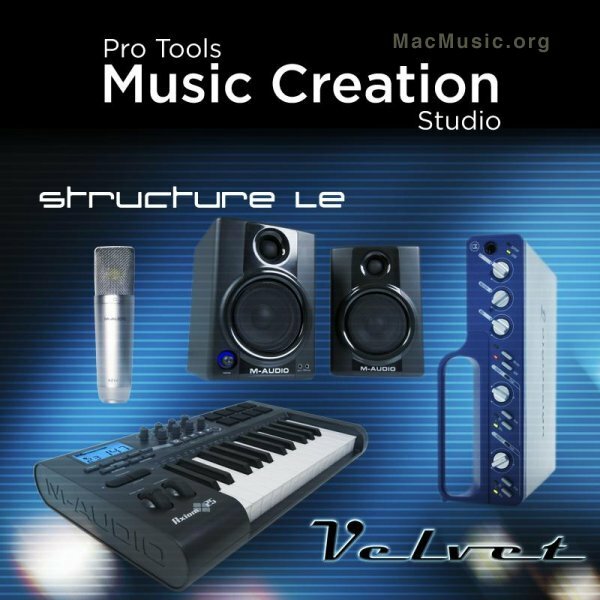 The bundle features an Mbox 2 Factory audio/MIDI production system, M-Audio Nova microphone, M-Audio Axiom 25 MIDI keyboard controller, M-Audio Studiophile AV 40 monitors, Structure LE advanced sample player plug-in, Velvet vintage electric pianos plug-in, and all required cables. For the singer/songwriter or individual musician, Digidesign and M-Audio have also created a special limited-edition studio package that features the ultra-compact Mbox 2 Mini audio system, M-Audio Nova microphone, M-Audio Studiophile AV 40 monitors, Structure LE advanced sample player plug-in, an iLok USB Smart Key, and all required cables.